05/05/2017 /in News /by Cyberdyne s.r.l. Solutions Webcast: Engineers and designers must find optimized design solutions based on numerous factors including time, material and cost. The fast-paced manufacturing environment does not always allow for adequate studies to find the best solution to a design problem. Imagine your product quality if you have time to test multiple variations of your designs. In addition, being able to choose the right parameters, materials, components and procedure to optimize your process. Introducing KIMEME by Cyberdyne, the new CAE software platform for multi-objective and multi-disciplinary optimization. With KIMEME you can describe your design workflow, integrate your tools and automate your design process, with few clicks. KIMEME works with major CAD and FEA tools including Siemens NX CAD and NX Nastran. 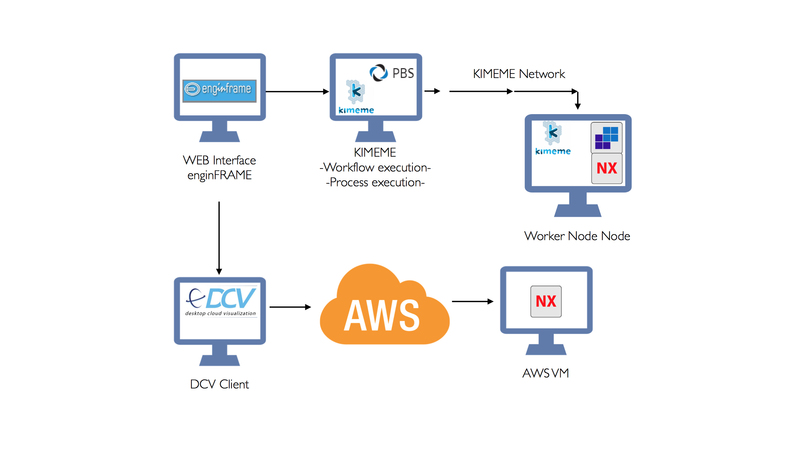 Being the first Cloud-based process integration tool, KIMEME allow you to distribute, execute, and scale your simulation using the unlimited power of the cloud.